Many books have been written about how to think, ranging from the technical to the superficial, not to mention the supercilious. Harrison’s approach must be the most amiable and helpful this reviewer has ever encountered. But why do we need a book like this? 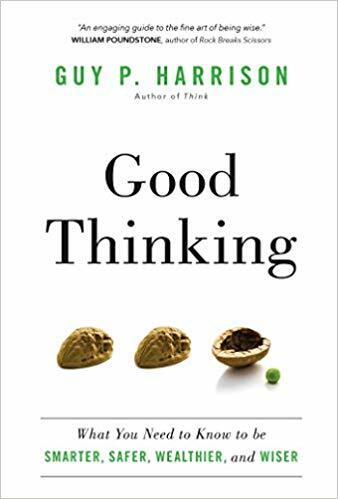 For Harrison, good thinking should be on the short list of humanity’s basic needs and values, along with nutrition, sleep, sanitation, healthcare, education and security. Harrison includes a useful overview of current knowledge of brain functions, to help readers understand how memory works and fails us, how we perceive the world, how we take decisive short cuts. Illuminating, honest and compassionate, this book is warmly recommended, and would be a useful book to suggest or offer to anyone who may be in the grip of exploitative or debilitating ideas and habits.